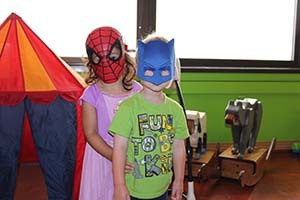 Stay connected to the families at Ronald McDonald House Charities of Pittsburgh and Morgantown, as well as, keep up to date with the happenings of the Charity. We produce our e-newsletter for friends of RMHC Pittsburgh and Morgantown to enjoy and learn more about our organization. Each edition is filled with news of our families, events and lots of colorful photos. If you would like to be added to our mailing list, please email your contact information to Lynn Ussack at lynn@rmhcpgh-mgtn.org. For accessible versions of these PDFs, please contact 412-246-1104.